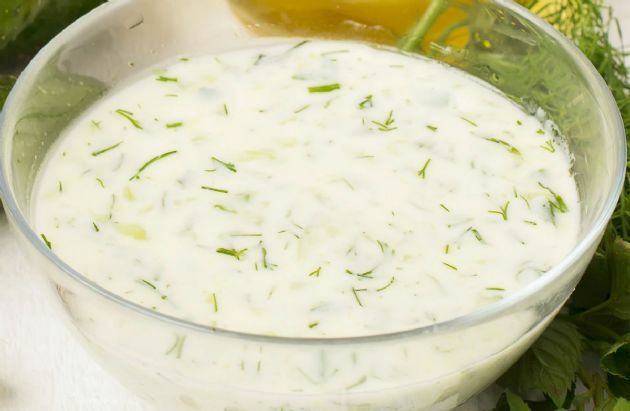 Use this to dress your salad or as a dipping sauce for cut vegetables. Don't like cilantro? No problem, just swap it out for Italian parsley or dill. If you don't have a food processor or blender, chop the cilantro and green onions by hand and blend with remaining ingredients using a fork. Save time: Don't pick off each leaf by hand. Use a chef's knife and make short horizontal strokes along the base of the leaves and they'll come right off. Place all ingredients except the yogurt in a small food processor or blender and pulse to chop. Add the yogurt and pulse to combine. Refrigerate for up to five days and serve cold.